What Are The Best Deals in Cruising Right Now? Four cruise lines have rolled out the latest round of deals offering extra perks and upgrades — and if you’re thinking about a cruise, act fast! These kinds of offers have proven extremely popular with cruise passengers who like the extra value-added goodies. Here are the latest limited-time promotions. Norwegian Cruise Line launched its Cruise Event Week that offers up to $270 in onboard perks — including specialty dinners, spa credit and bottles of wine — to those who book a new five-day or longer cruise vacation by Sept. 14. Those booking a studio, inside or ocean-view stateroom this week will receive a bottle of wine and chocolate-covered strawberries in their room during their cruise. Those booking a balcony stateroom will get the wine, chocolate-covered strawberries and a complimentary dinner for two in the Italian restaurant. Mini-suite guests will enjoy those amenities and an additional dinner for two at Cagney’s Steakhouse. Suite guests get all that, plus a $50 spa credit. Those booking the most upscale accommodations in the Haven by Norwegian will get even more — dinner for two in Le Bistro and an additional $75 dollar onboard credit. 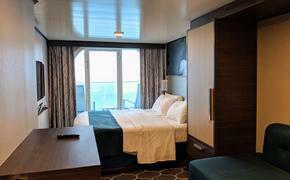 The Haven is a luxury suite enclave available on Norwegian Breakaway, Norwegian Getaway, Norwegian Epic, Norwegian Gem, Norwegian Pearl, Norwegian Jewel, Norwegian Jade and, starting in fall 2015, on the new Norwegian Escape. What’s more, Norwegian is extending its attractive all-inclusive offer through Sept. 30 for 2015 cruises, excluding Pride of America in Hawaii. The company says the all-inclusive package is valued at more than $2,400 but is priced from $899 per person for a seven-day cruise. The all-inclusive package includes 10 percent off the cruise fare, the Ultimate Dining package, the Ultimate Beverage package, shore excursion credit of up to $200 per person (depending on stateroom category), pre-paid daily service charges, a 250-minute Internet package per person, 20 photos of any size, chocolate-covered strawberries, a bottle of wine, one bingo session and up to 12 bottles of water. 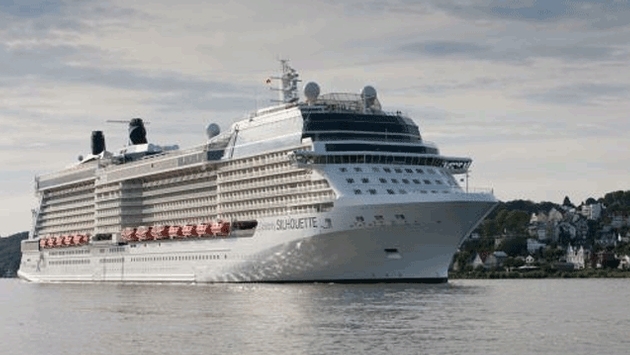 Celebrity Cruises reprised its very popular Pick Your Perk offer. It’s good for travelers booking an ocean-view or higher-category stateroom on four-night or longer cruises that depart Dec. 20, 2014, through April 2016. (The offer excludes Celebrity Xpedition, trans-Atlantic and trans-Pacific crossings, Celebrity Infinity’s March 15 departures and Celebrity Century’s last two cruises departing March 22 and April 5.) Travelers who book through Oct. 5 can select up to $600 savings using Celebrity’s ChoiceAir, free Classic Beverage Packages for two, free gratuities for two, or up to $300 onboard credit per stateroom. Princess Cruises launched the “3 For Free” sales event for guests booking 2015 Alaska, Europe or Japan cruises and cruise-tours by Nov. 20. The offer includes free stateroom upgrades, a shore excursion credit, an onboard credit, and refundable deposits of $100 per person. The cruise sale gives guests the best stateroom available within a category and a shore excursion credit of $100 per person in Europe and Japan and $50 per person in Alaska. Also included in the offer is up to $100 per stateroom in onboard spending money in Europe and Japan, and up to $50 per stateroom in Alaska. MSC Cruises’ “48-Hour Caribbean Blow-Out Sale” Sept. 9-10 is good on seven-night sailings of the MSC Divina from Miami departing Sept. 20 through Dec. 13 (not including the Oct. 11 voyage). Rates start at $299 per person, based on double occupancy, with a guaranteed balcony upgrade. Guests also will receive a $50-per-person future cruise credit to use toward any seven-night or longer 2015 Caribbean cruise on MSC Divina.